Fitness expert Tracy Anderson has teamed up with Lingua Franca, a sustainably-sourced, fair trade luxury cashmere sweater brand, to create a special three-piece collection that epitomizes the “New Year, New You” motif. 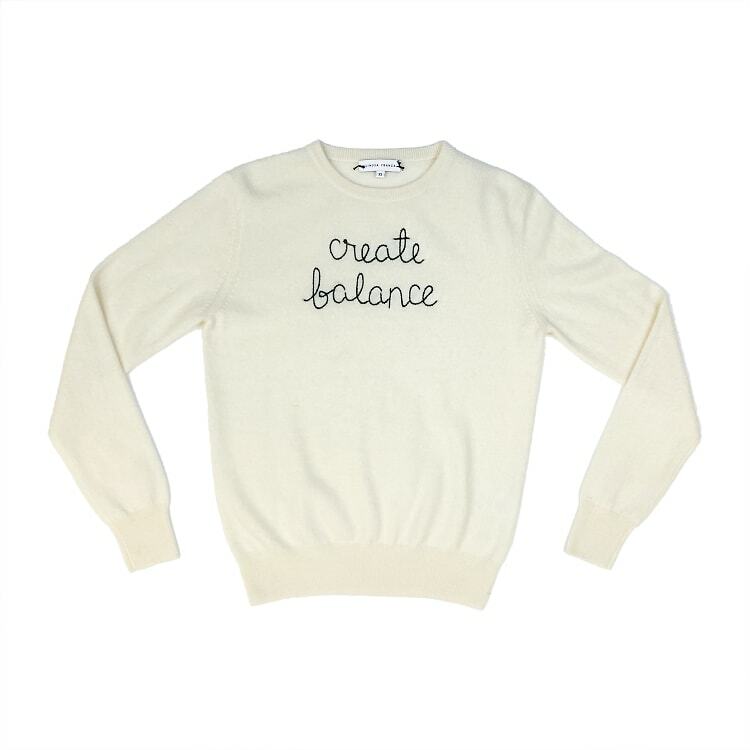 With motivational sayings such as “Create Balance” and “You Are how You Move,” the new pieces not only offer comfort, but were also designed to inspire and empower people to reach their goals in 2019. The three sweaters come in multiple colors: smoke grey with cobalt blue thread, cream with black thread, and sea foam with red thread. The limited-edition collection is available for purchase at Tracy Anderson studio locations in New York City, as well as online as tracyanderson.com. A portion of the proceeds from the sale of each sweater sold will be donated to Planned Parenthood.